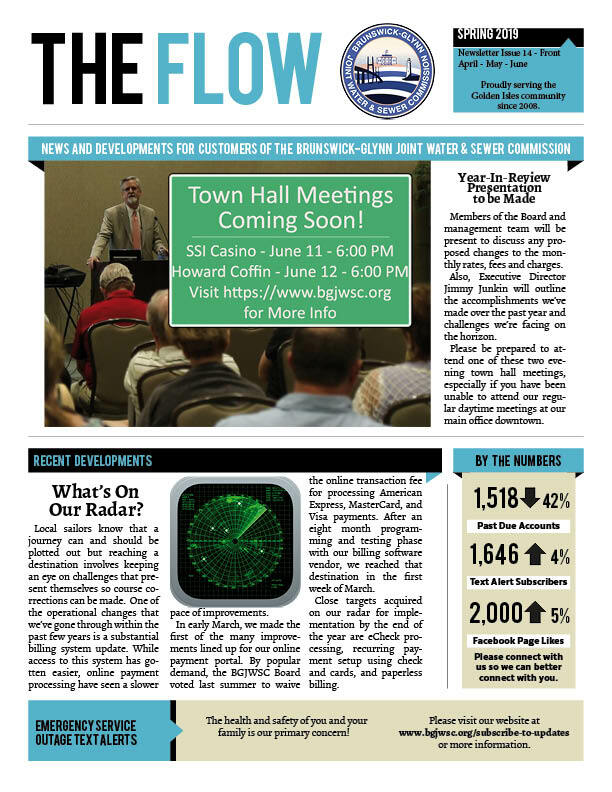 The Flow quarterly newsletter is a low-cost effort to guarantee that the news most relevant to you will be distributed with your billing statement. When necessary, news too long to print will be presented in a brief edition with more information referenced with a link to our website. Previous editions are available here as well. 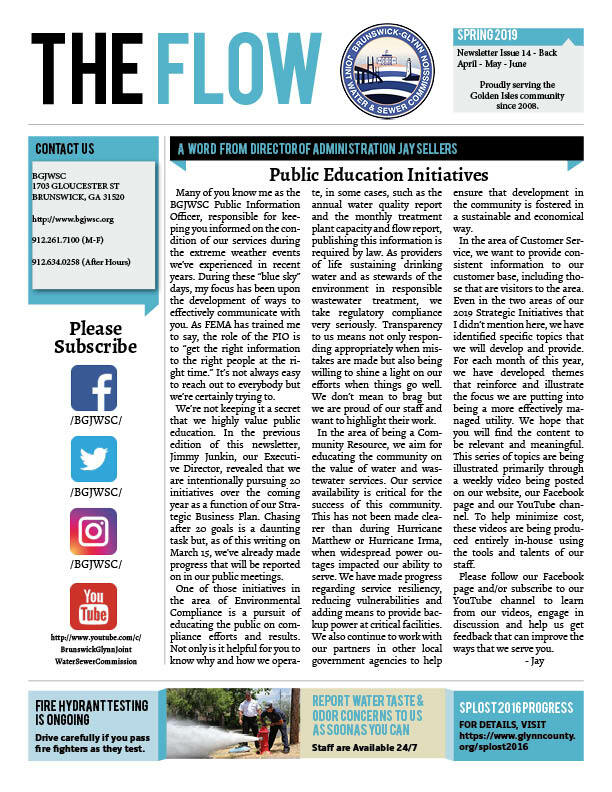 If you would like to see information published in The Flow or on our website, please feel free to contact me. This entry was posted in The Flow Newsletter on April 3, 2019 by Jay Sellers.